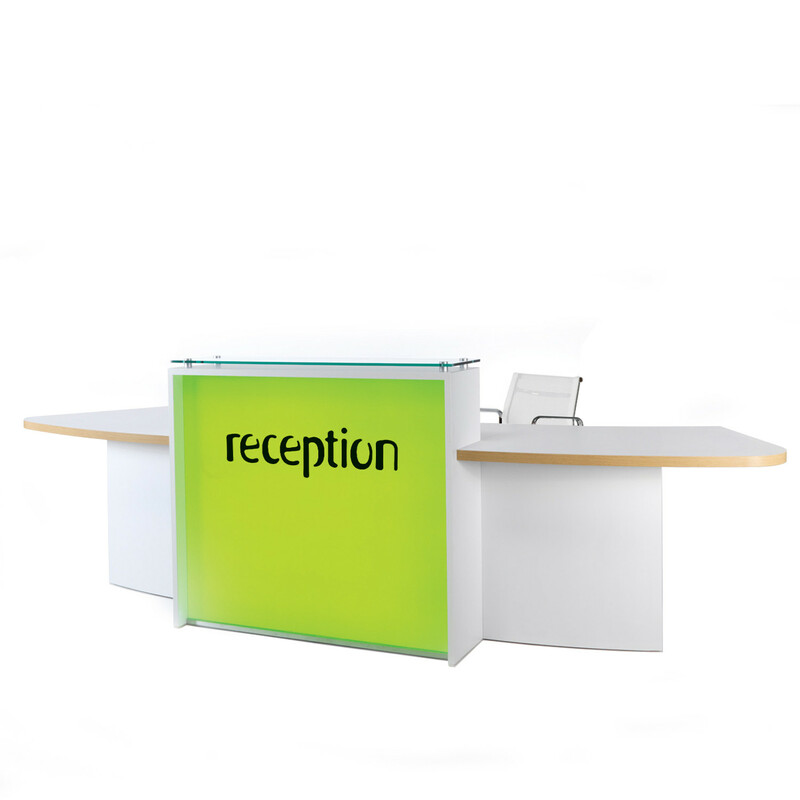 Evolutión® Light Reception Desks is a minimally styled reception desk range from Clarke Rendall. 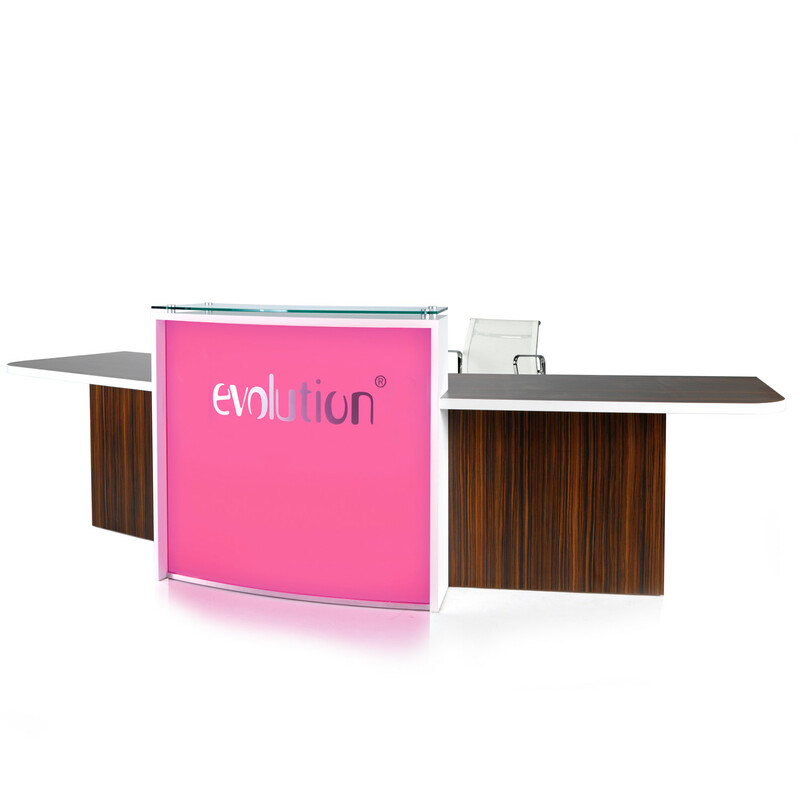 Available in a range of plain colours or with wood grain laminates it is a stunning, cost effective addition to the Evolutión® reception desk range. 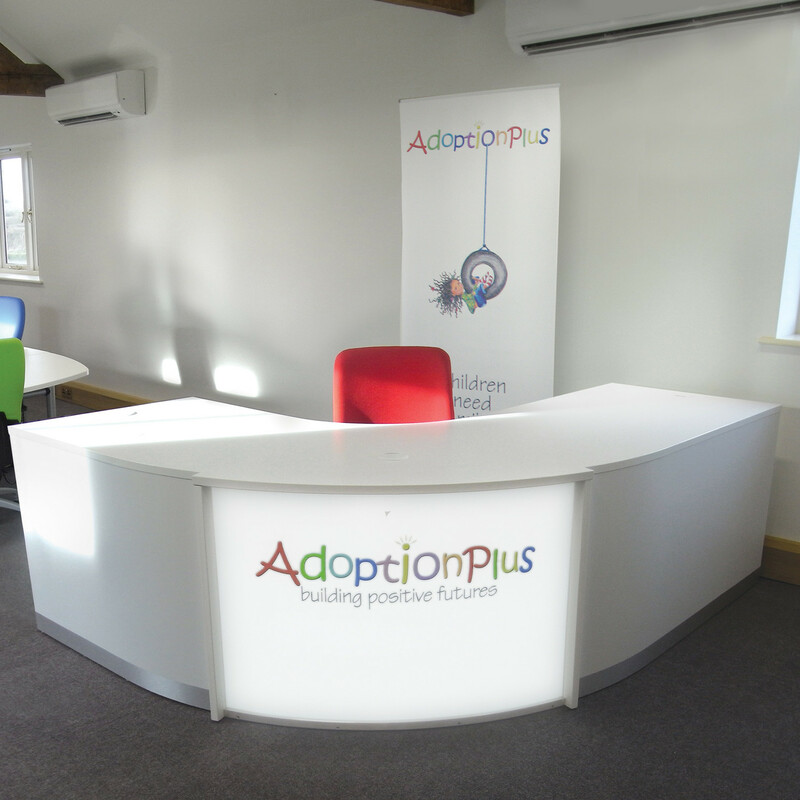 The office reception area is often the area where guests, visitors and clients will achieve a first impression of your company and business. It makes sense, then, to impress. 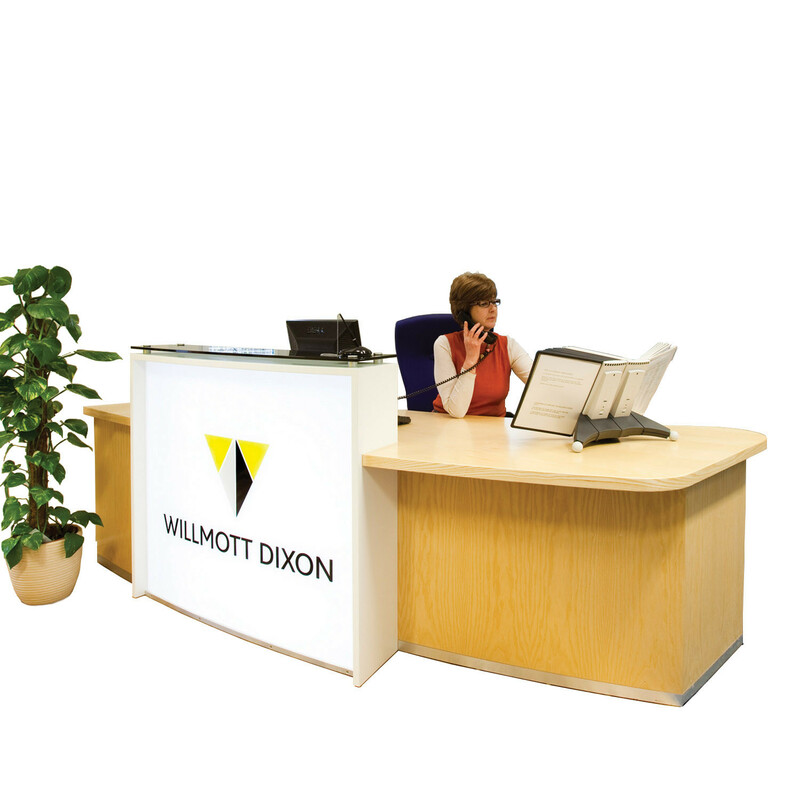 Giving your office receptionist a fully featured contemporary reception desk will help secure the welcome they deserve. 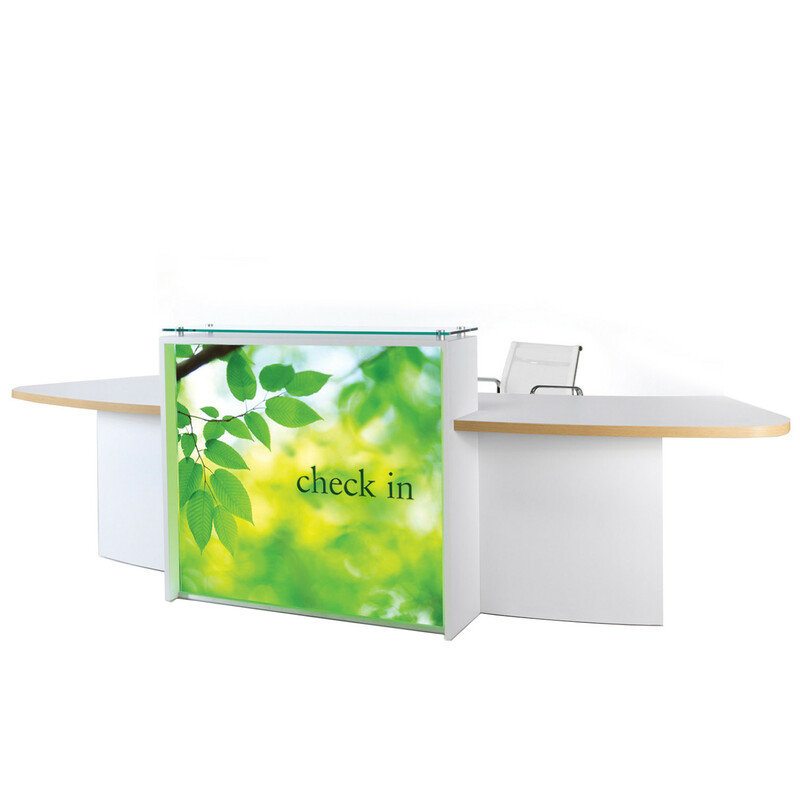 What really separates Evolutión® Light from other modern reception desks in the marketplace is the lightbox which is standard on all models. 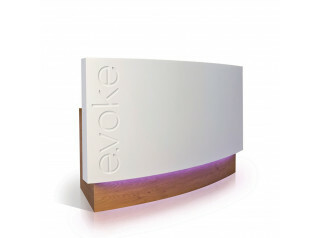 This beautifully engineered feature, finished in white lacquer or white solid surface material, employs low energy consumption LED lighting to illuminate the front panel with a remarkably clean and even glow. 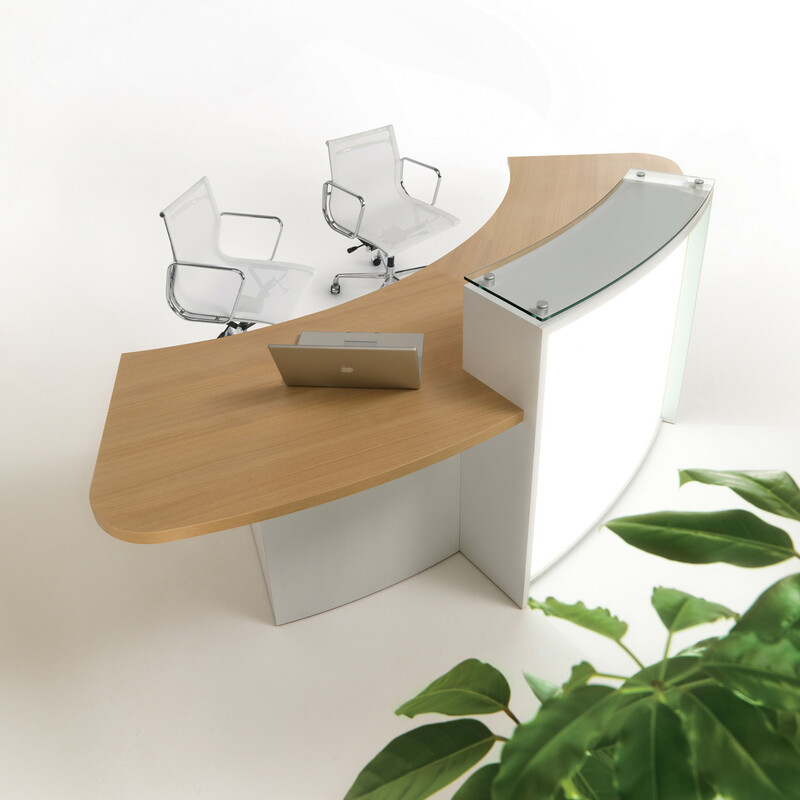 You can specify a plain white opal acrylic or even choose from a range of coloured film options all as standard, and when you factor in the possibilities for company logos and graphics, you can see that the potential of Evolutión® Light Receptionist Desk is endless and customisable. For full colour logos a high resolution digital output is used. 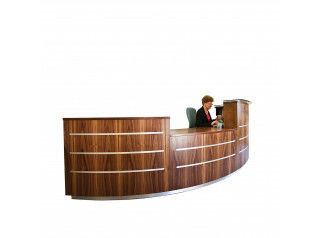 Curved or Straight Reception Desks. Finished with Wood Grain or Plain Laminate Modesty Panels and Desktop. 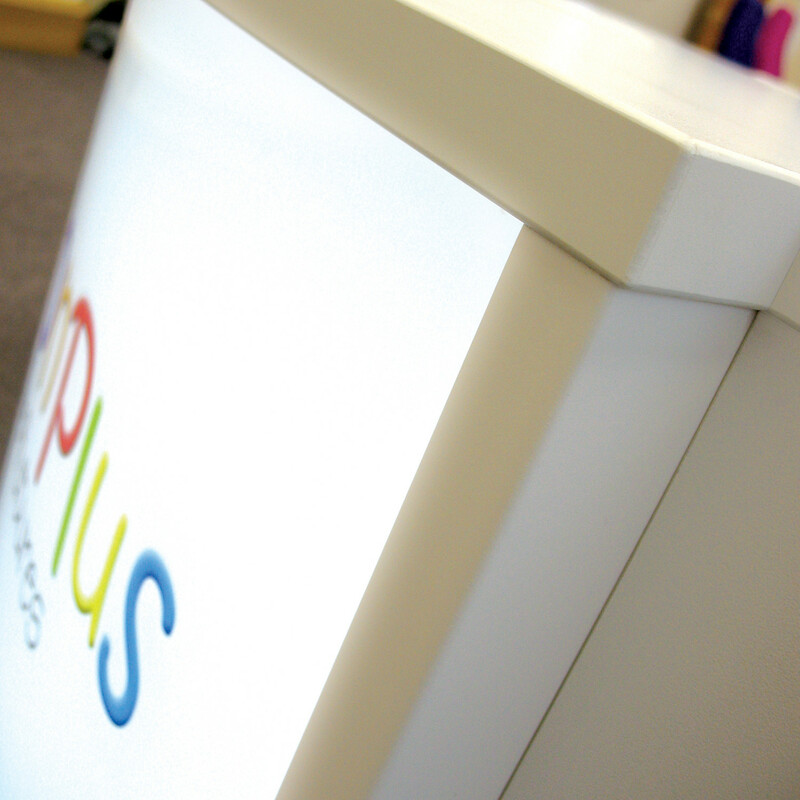 Option of White Lacquered or White Solid Surface Lightbox Surround. Either Opal or Filmed Acrylic Back-lit Front Panel. Option of Satin Anodised Posts supporting Clear, Blue or Grey Toughened Glass Counter Cap. See more products manufactured by Clarke Rendall. 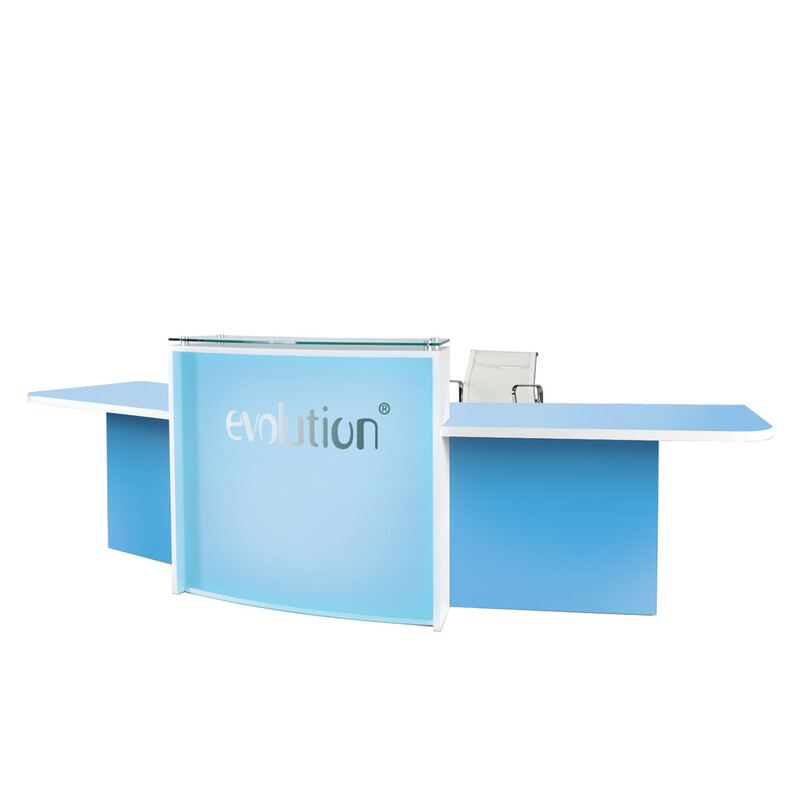 You are requesting a price for the "Evolution Light Reception Desks"
To create a new project and add "Evolution Light Reception Desks" to it please click the button below. 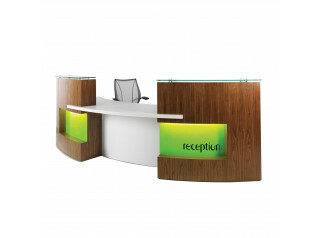 To add "Evolution Light Reception Desks" to an existing project please select below.